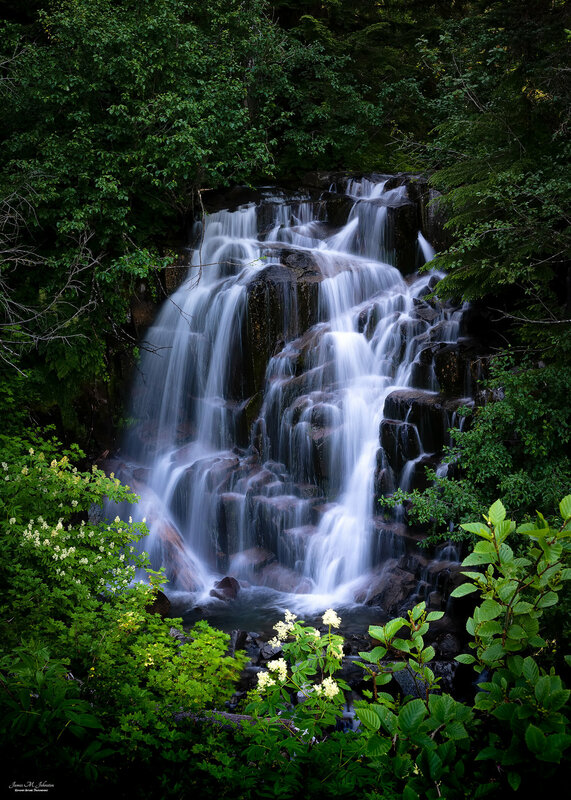 A side waterfall that can be found next to Steven's Creek Waterfall in Mount Rainier National Park. Although the main cascade was more dramatic, this little soft feathery waterfall was more enjoyable. Standing next to it in the afternoon shade was cooling and relaxing. The larger cascade on Steven's Creek in Mount Rainier National Park, at the road crossing. This late afternoon image was made at the same time as the previous image of the smaller side falls. The view south along Edith Creek where it passes under the Paradise Valley Road in Mount Rainier National Park, Washington State. This is an exposure blend of four images to get the light transitions correct and for the water. I don't like using HDR software, preferring to use various masks to bring out the desired areas in a multi-exposure image like this. The late morning sun filters through the moss covered trees around Lake Quinault in Olympic National Park in Washington State. The Nisqually River runs strong with snow melt from Mt. 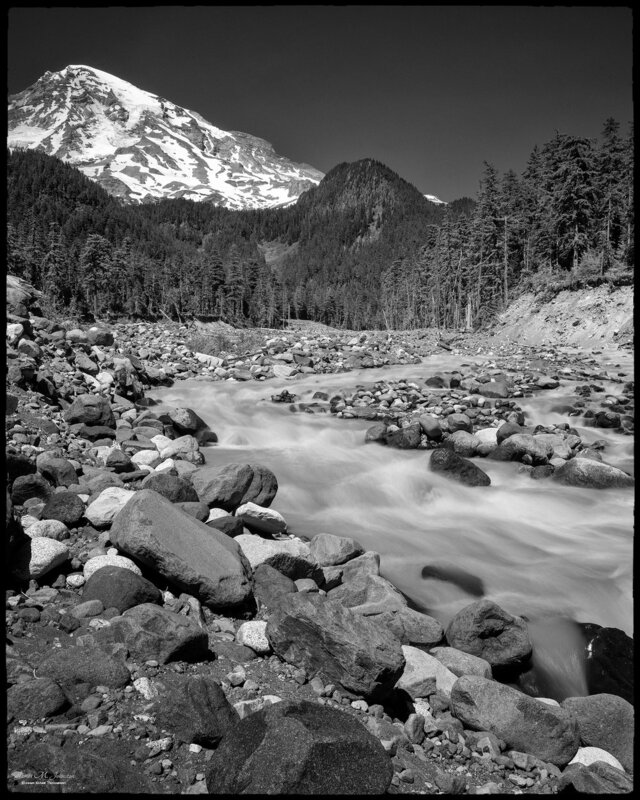 Rainier in this image taken in the National Park. Mt. Rainier is centrally located in Washington State, and at 14,000+ feet high can be seen from almost everywhere in the state as well. A long exposure image of waves crashing on Rialto Beach in this July afternoon image. Ruby Beach is one of the many beaches along the Washington State coastline that make up coastal Olympic National Park.